Following a clash between Tijuana residents and Central American migrants, workers began reinforcing the fence in San Ysidro on the U.S. side. SAN DIEGO (KGTV) - Some Tijuana residents are frustrated with the growing number of Central American migrants that have gathered along the border in hopes of gaining asylum in the U.S.
Tijuana resident Cesar Baltazar, who legally crosses the border on a regular basis to work in the U.S., told 10News, "In Plaza Tijuana, they're already fighting. I mean, all the residents there don't want them there." On Wednesday night, a confrontation between Mexican nationals and some members of the immigrant caravan escalated into violence. The fight inflicted injury on both sides, including one man seen on cell phone video with a bloody eye. “They're unknown, that's the thing,” Baltazer said. "They're unknown. They're strangers." Baltazer said he's neutral on the migrants, but he understands why many want them out. "[Tijuana] has a lot of crime. They have a lot of murders. They have a lot of drug usage. So, they don't want those problems from Central America to come over here,” he told 10News. Tijuana resident Georgina Parra added, "Everyone is in disagreement. Aside from them trashing our city, they're making caravans outside and talking badly about Tijuana." Like many in the U.S., many Tijuana residents are torn about whether they should see the migrants as a threat. "I guess everybody has an idea that all of them are like that,” said Baltazer. "Which isn't true because there's a lot of decent families, too." 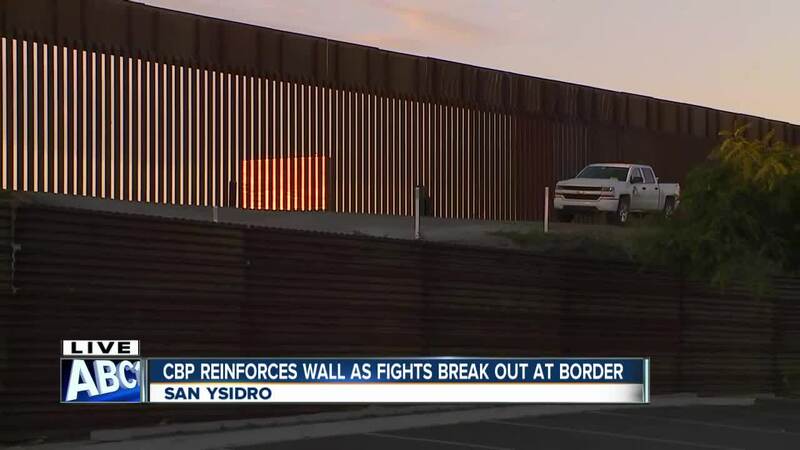 Customs and Border Protection officials tweeted video Friday of men climbing the border fence and attempting to cut the concertina wire at the fence.